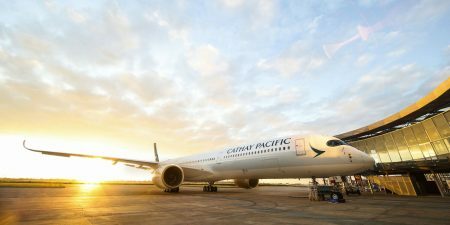 Cathay Pacific offers frequent flights from Kuala Lumpur, connecting you to more than 90 destinations across Asia and Europe. All meals served on board comply with Halal dietary requirements. Sit back, and enjoy exemplary service and great in-flight services. Kuala Lumpur International Airport (KUL), referred to as KLIA, is one of Southeast Asia’s leading airports. Cathay Pacific flights depart from the modern KLIA1 terminal. Explore numerous shops and restaurants, or relax in comfortable lounges before you board. Other facilities include a Cathay Pacific lounge, ATMs, currency exchange, spas, and a children’s play area. Located 50 kilometres from the city centre, KLIA trains regularly connect KL Sentral with the airport, with express and transit services taking 28 and 36 minutes respectively. Regular buses connect other parts of the city, and taxis are available for added convenience. Book your flight from Kuala Lumpur with Cathay Pacific today. Kuala Lumpur - Washington, D.C.